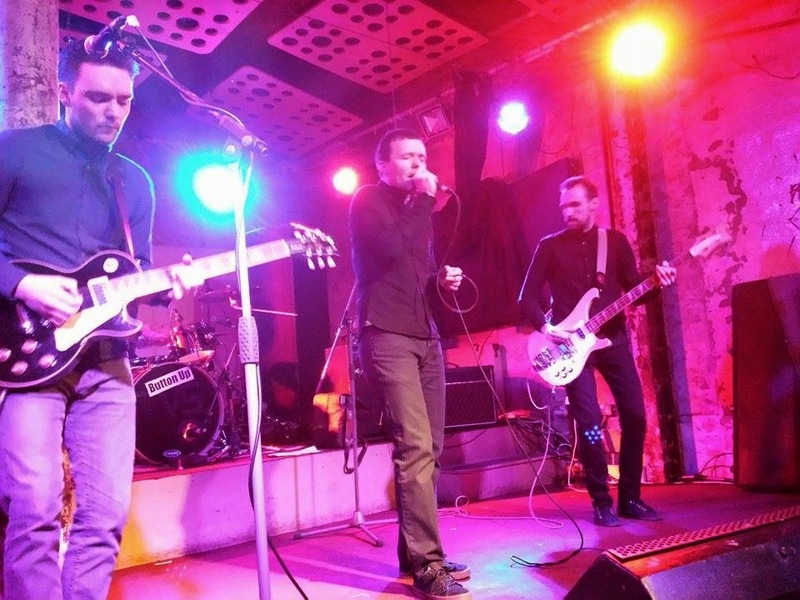 An evening of firsts in Glasgow: their first ever Scottish gig, the first date of the Cavalcade tour and the first live performance of some classic tracks from the new, eagerly anticipated album. As you’d expect, Even The Stars were there. As I entered Glasgow’s Stereo, I hear the familiar sounds of the band I have travelled far and wide to hear over the last 18 months. From the basement of the popular venue/pub/club/café, I can hear Manchester’s The Slow Readers Club sound checking some songs so new even I don’t know them. 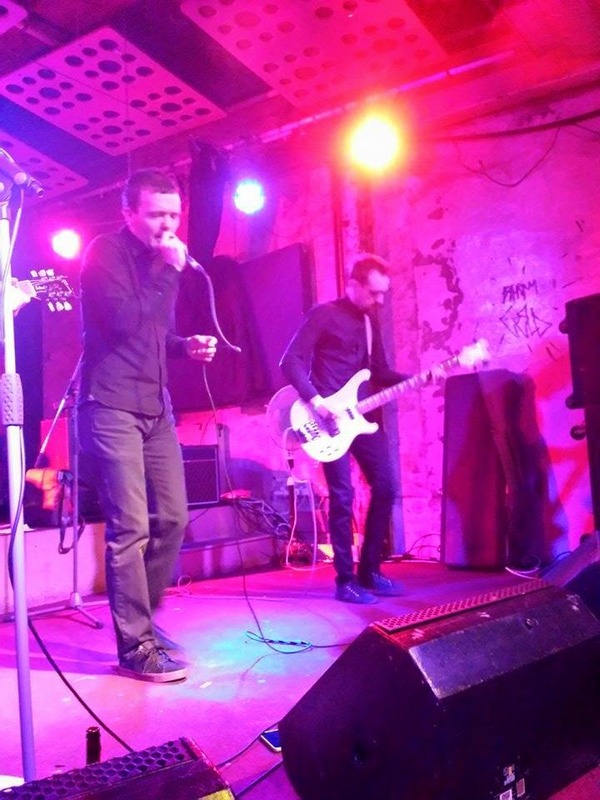 A little over an hour later and The Slow Readers Club – Aaron, Kurtis, Jim and David - take the stage to deliver an incredible set drawn almost exclusively from the new album which is due for release next month. Guitarist Kurtis Starkie tells me beforehand that the sound check was needed as the band was a little bit rusty. He lied. From the off, The Slow Readers Club are as polished, vibrant and exciting as ever. Their reputation has grown considerably over the last two years thanks to consistently good live shows and a string of classic, acclaimed singles, many of which feature in tonight’s 30 minute set. Opening with the pulsating Start Again is a master stroke and the perfect introduction as they win over a Scottish audience for the first time. You can’t fail to be drawn in by the band. Start Again is a classic slice of modern contemporary pop. New single I Saw A Ghost has received lots of radio play over the last few weeks and understandably so, given its fast pace and brilliant chorus. Jim’s bass really shines. On both opening tunes, the band showcases an incredible range of dynamics and emotions. They have the ability both musically and lyrically to have the listener in the palm of their hand. Forever In Your Debt is the single which has brought the band the most attention. A live favourite with a real groove and a powerful vocal from Aaron Starkie. As strong an opening as you are likely to hear at a gig this year. Next up is a new song called Here In The Hollow and features yet another soaring chorus with a vocal battle between the Starkie brothers. At the back of the stage, David Whitworth makes drumming look easy and is easily one of the finest sticksmen of his generation. The pace is slowed down with Don’t Mind, their last single of 2014. Yet again Aaron Starkie delivers a heartfelt vocal. Plant The Seed is the next new one to be debuted this evening. Opening with a Depeche Mode style synth, it is another classic Slow Readers Club track yet taking them off in another direction. Debut single and live favourite Sirens is the only old song to feature in tonight’s set before Know The Day Will Come closes the show, featuring an emotive vocal and an almost military feel from the rhythm section. 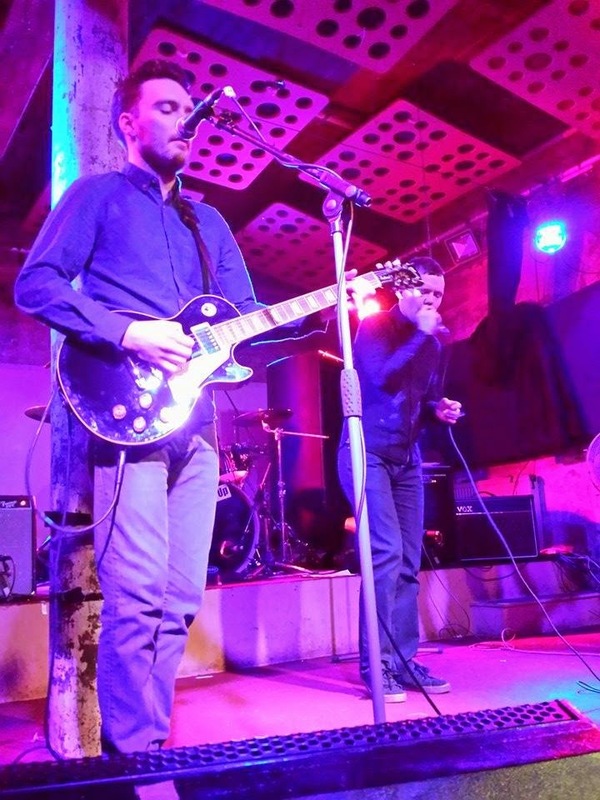 A spectacular Scottish debut from The Slow Readers Club with as powerful a set list as I have seen. What is remarkable is that they could easily have played an entirely different set of songs such is the strength of their back catalogue. From what we have heard of the new material, Cavalcade promises to be something special indeed.